I set this up and got it working today. Still plenty of improvements that could be done, but it’s at least operational. Please don’t put stuff on this CNC. Keep it clean. Thanks!! Nice photo of the area! Will update the wiki ASAP. @lukecyca is this the Sherline CNC or the Grizzly CNC? Neither, it wasn’t on the wiki that I could find. 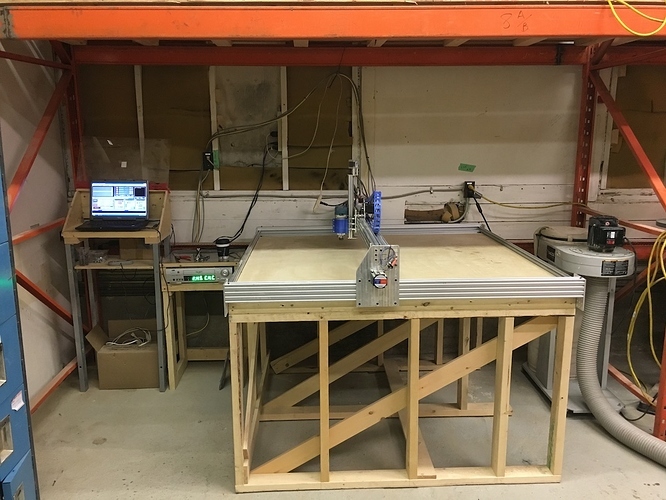 @Jarrett is this wood CNC the same or different from the red-linked “Wood CNC router” that has no page created on the tools page? Whoops, can’t read, fixed. It’s the same, the one and only wood CNC we have. Oh yeah, and thanks, Luke!